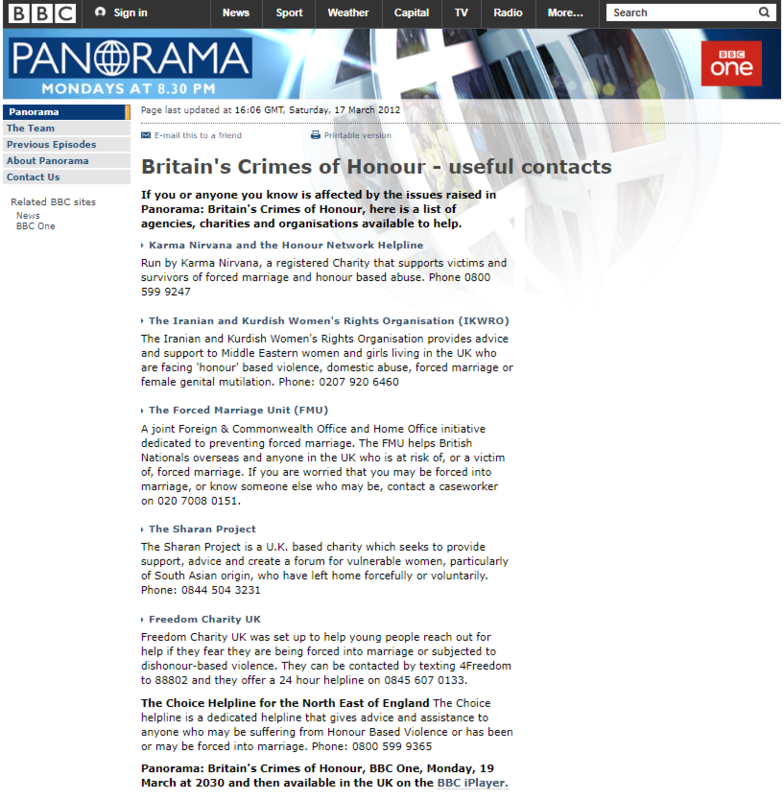 You can now find us on the BBC Website under the useful contacts list for Crimes of Honour. Panorama will be reporting tonight at 8.30pm on BBC1 about the thousands of honour crimes across Britain – Let’s shine a light to these crimes and support all the victims! Thousands of crimes in Britain are going unreported: beatings, imprisonment – even murder – committed by those closest to the victims, their families. These are crimes of so-called ‘honour’. With access to police investigations, Panorama reveals the shocking details of ‘honour’ killings, of women driven to suicide and also hears from those on the run, in fear of their lives. The UK’s lead prosecutor on ‘honour’ crimes says he will not tolerate multicultural sensitivities when it comes to this issue and a leading campaigner accuses her own community leaders of a failure of leadership in not speaking out against this abuse.